When you have a large area at hand, the space allows you to make visual maneuvers that although beautiful may be somewhat predictable. But skill is noticed when you have a compressed program and very limited space, to achieve a complete projectin multiple dimensions. 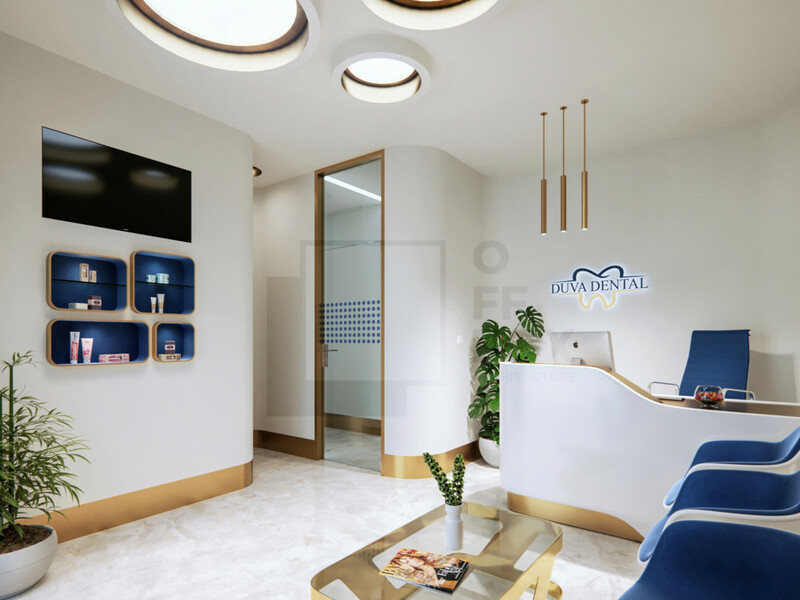 At the dental clinic in Tirana, the aim was to provide users with the best materials, colors also playing with the perception of the space, so to give the patient a more pleasant atmosphere. The sequence begins with the waiting area which although with very minimal dimensions, with the protrusion of the waiting table area and the toilet in two space niches we achieved a clear rectangular space only for the patients. 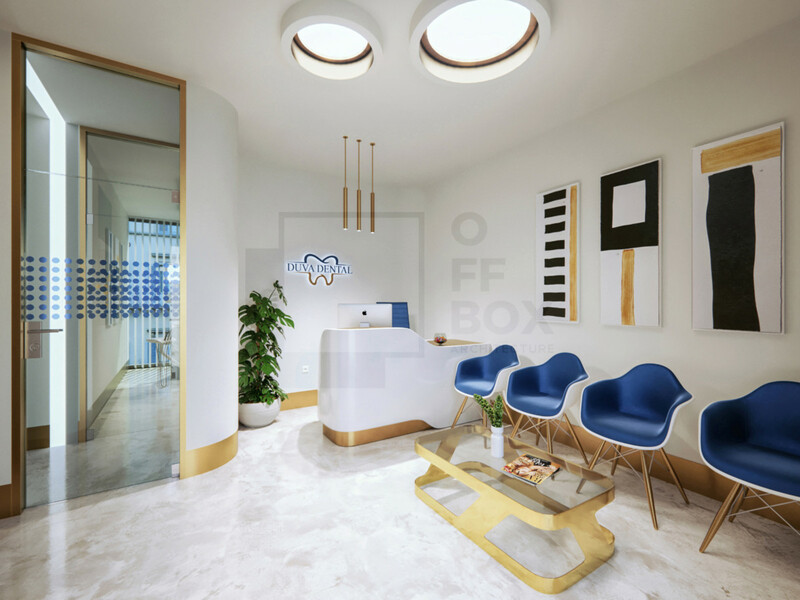 In this space you will immediately notice the transparent door which with its large dimensions and minimal design gives you the impression that you are going through a gateway to another atmosphere. 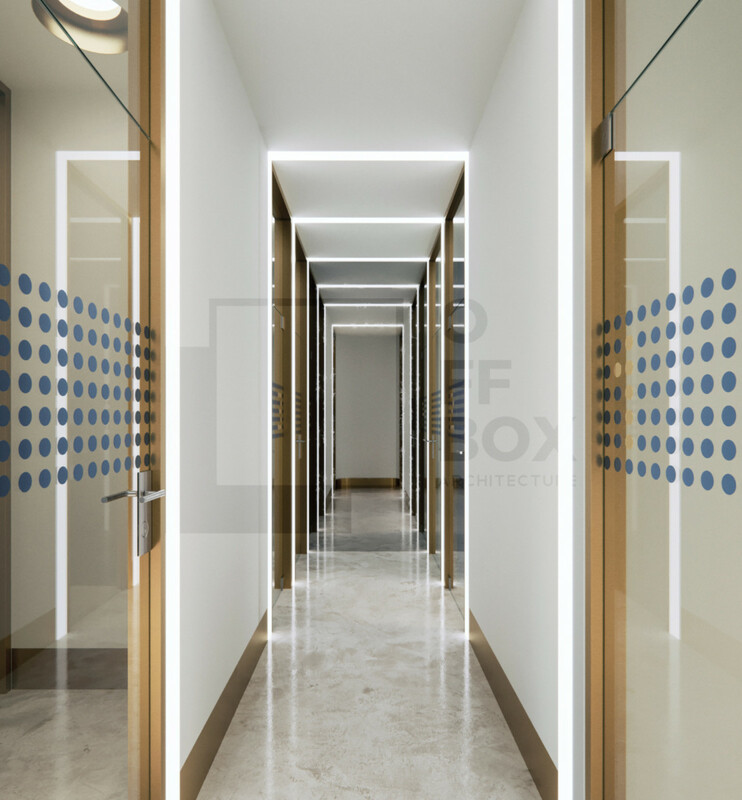 The minimal corridor with dimensions just enough for the doors is designed to percieved larger as it is and it’s done with a mirror in the front wall and and lighting elements in the shape of a portal from the wall to the ceiling and back on the floor. 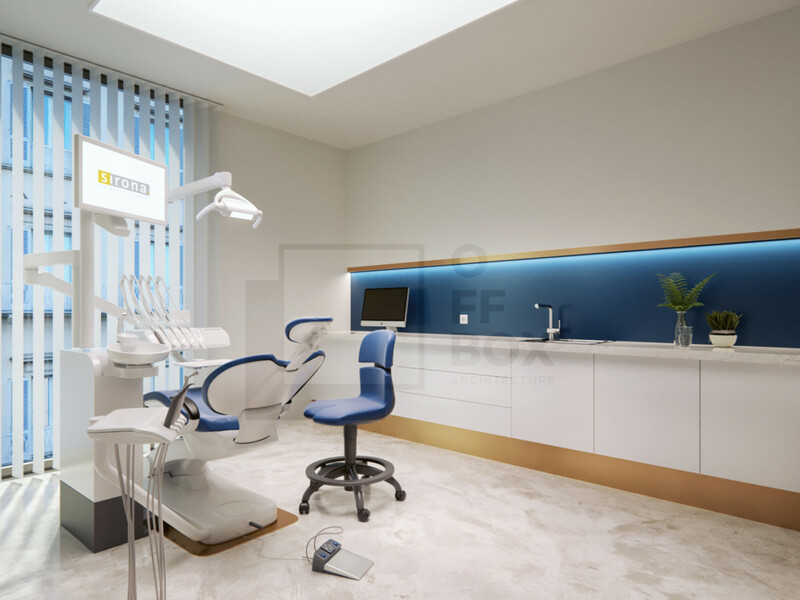 The intervention rooms are kept as simple as they can with wall integrated cupboards and the chair in a central position with a window view also enough lighting for the work to be done. 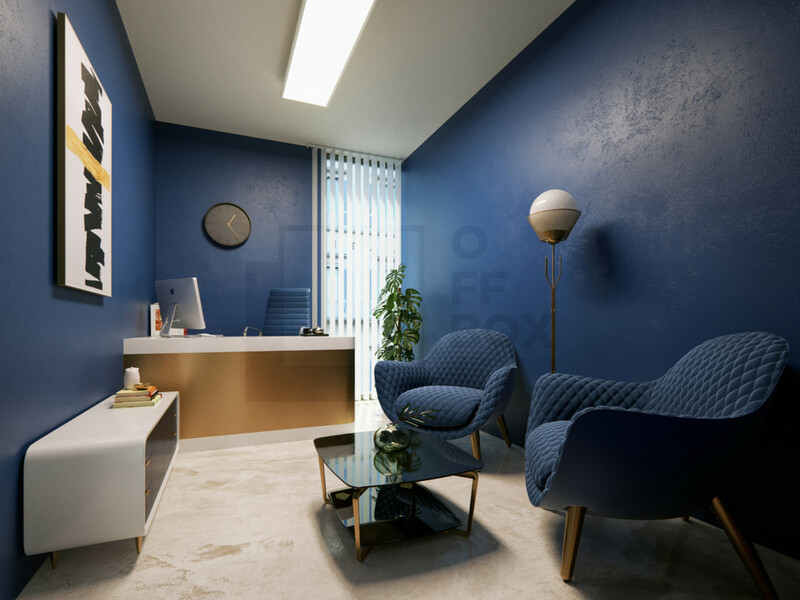 While in a total contrast, the doctor’s office is conceived so as to be a place of refuge for the doctor when he gets tired of work or even when he finishes it, to stimulate his brain with a strong color and exclusive home like furniture. 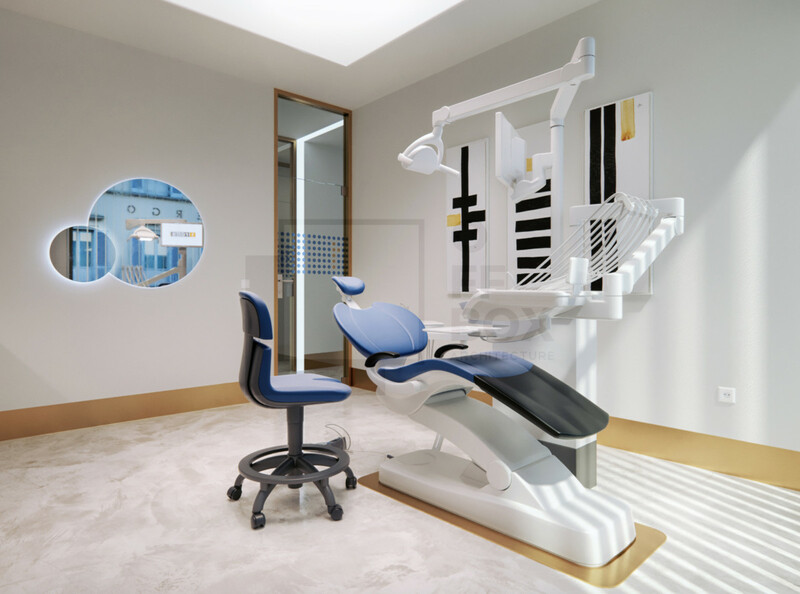 This makes him perceive the space completely detached from the rest of the clinic.